We planned on giving our UROP Summer placement students some time in the ArtLab so they could try some of the equipment (e.g. 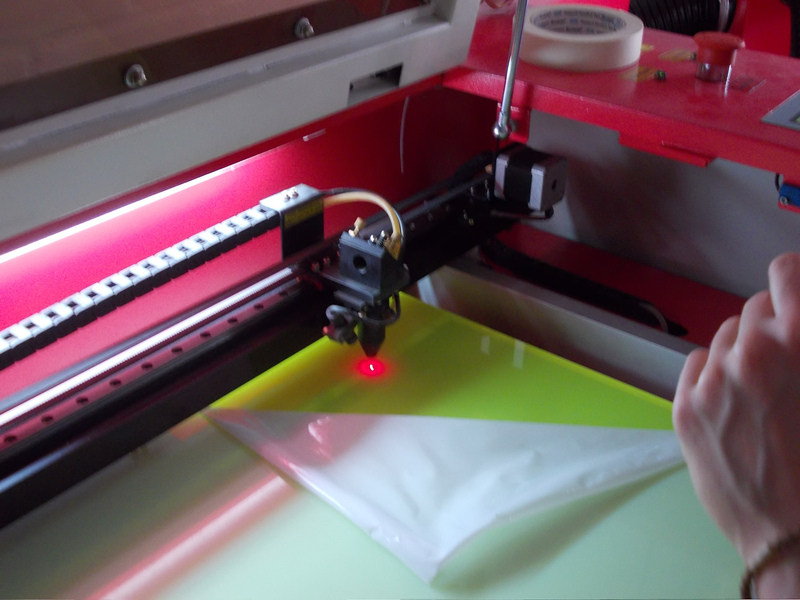 the laser cutter, 3D printers and 3D scanner), as they are directly involved with the WP workshops that start this coming week. 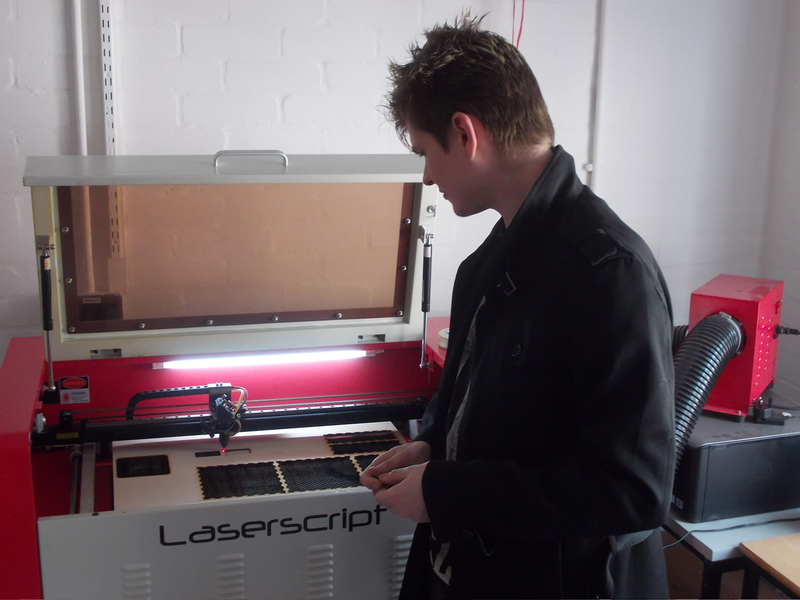 On Wednesday this week they were given some time using the laser cutter. 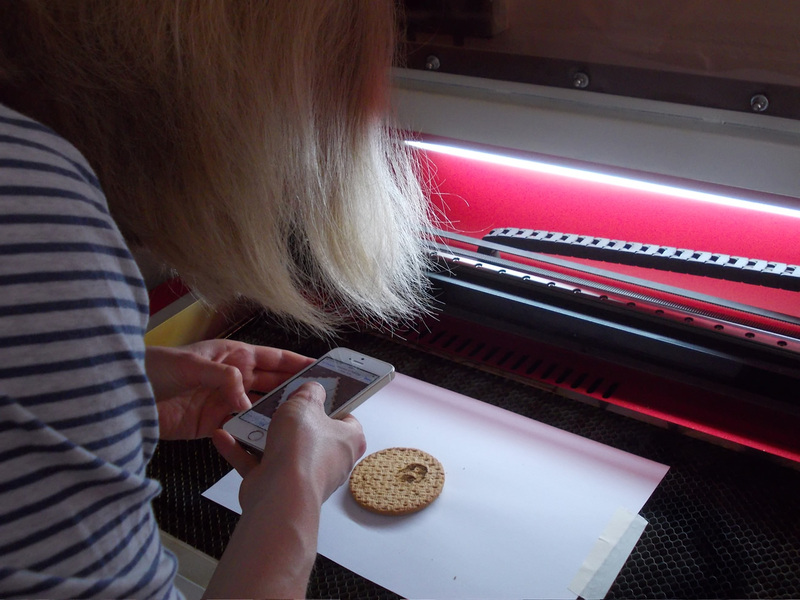 The workshop started with a simple example using a digestive biscuit, on which Laura etched an image. 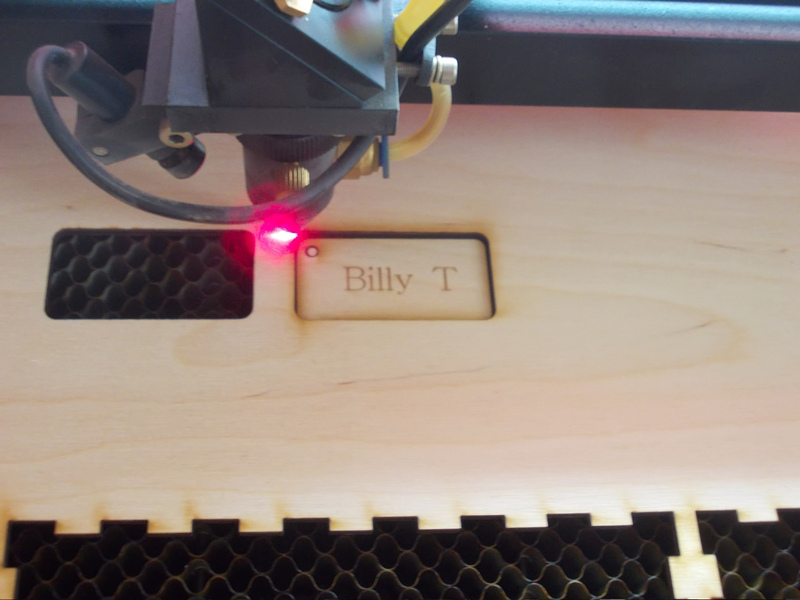 The settings used for the biscuit were the same as for a light engrave for Birch plywood, and the biscuit engraved well. 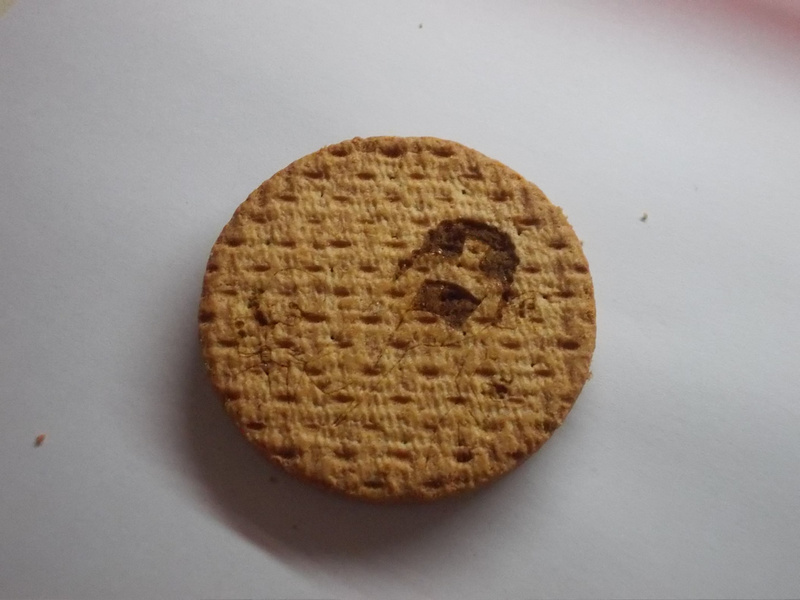 On reflection, perhaps a biscuit without so much surface texture would give a better output … we’ll keep on experimenting. Note: we placed the biscuit onto a clean sheet of paper before engraving so you could eat the biscuit afterwards. Setting up the start point for cutting. Then Matthew created a simple design for a keyfob (for his dog) using Birch plywood. 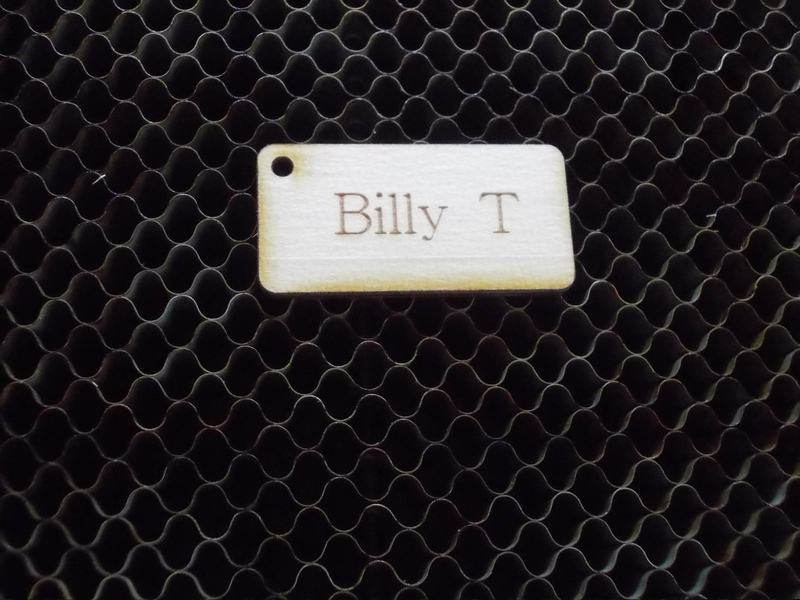 In both cases this illustrates three basic processes using the laser cutter: engraving, inner cut and outer cut.